This Ebola outbreak is being called the “most severe, acute health emergency seen in modern times“, and the U.S. health care system is completely and totally unprepared for it. The truth is that most U.S. hospitals are simply not equipped to safely handle Ebola patients, and most hospital staff members have received little or no training on Ebola. And the fact that Barack Obama and our top public health officials are running around proclaiming that Ebola is “difficult to catch” is giving doctors and nurses a false sense of security. 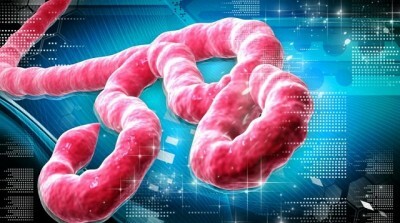 There is a reason why Ebola has been classified as a biosafety-level 4 (BSL-4) pathogen. It is an extraordinarily dangerous virus, and there are only a few facilities in the entire country that are set up to safely handle such a disease. Of the six Ebola patients treated in the U.S. before the health worker’s case, Duncan was the only one not treated at one of the specialized units in several hospitals around the country set up to deal with high-risk germs. The CDC’s director, Dr. Thomas Frieden, has said that any U.S. hospital with isolation capabilities can care for an Ebola patient. But his stance seemed to soften on Sunday, when asked at a news conference whether officials now would consider moving Ebola patients to specialized units. “We’re going to look at all opportunities to improve the level of safety and to minimize risk, but we can’t let any hospital let its guard down,” because Ebola patients could turn up anywhere, and every hospital must be able to quickly isolate and diagnose such cases, he said. Besser said he does not agree with the Centers for Disease Control, which says any U.S. hospital can safely care for an Ebola patient. Three out of four nurses say their hospital hasn’t provided sufficient education for them on Ebola, according to a survey by the largest professional association of registered nurses in the United States. National Nurses United has been conducting an online survey of health care workers across the U.S. as the Ebola outbreak has widened globally. After a Texas nurse who cared for the first patient diagnosed with the Ebola in the U.S. tested positive for the virus Sunday, the group released its latest survey findings. Out of more than 1,900 nurses in 46 states and Washington D.C. who responded, 76 percent said their hospital still hadn’t communicated to them an official policy on admitting potential patients with Ebola. And a whopping 85 percent said their hospital hadn’t provided educational training sessions on Ebola in which nurses could interact and ask questions. If this is indeed the most serious health emergency in modern times like the WHO is saying, then we need to get our health care personnel trained to face it immediately. Sadly, if a major Ebola pandemic does break out in this country, there is no way that we are going to have the resources to be able to deal with it. Have you wondered why Ebola patients are being sent to Omaha, Nebraska? It’s because one physician, Dr. Philip Smith, had the foresight to set up the Nebraska Biocontainment Patient Care Unit after the Sept. 11 attacks as a bulwark against bioterrorism. Empty for more than a decade, used only for drills, it was called “Maurer’s Folly,” for Harold Maurer, former chancellor of the University of Nebraska Medical Center. The unit has a special air handling system to keep germs from escaping from patient rooms, and a steam sterilizer for scrubs and equipment. It could handle at most 10 patients at a time, but one or two would be more comfortable, owing to the large volume of infectious waste. It is the largest of only four such units in the U.S., and the only one designated for the general public. If the outbreak in the United States is limited to just a few patients we will probably be fine. Meanwhile, the Obama administration continues to do next to nothing to prevent more people infected with Ebola from traveling into this country. Obama says that there is “extensive screening” at our airports, but that simply is not true. The World Health Organization is sending doctors to countries where the virus is most prevalent — Liberia, Guinea, Sierra Leone and Nigeria. Fusion’s Jorge Ramos spoke to one of the doctors, Dr. Aileen Marty, who recently returned home to Miami after spending 31 days in Nigeria. She says she was surprised what happened when she arrived at Miami International Airport. “I get to the kiosk…mark the fact that I’ve been in Nigeria and nobody cares, nobody stopped me,” Marty said. “Not a single test?” Ramos asked her, surprised. It is hard to put into words how foolish this is. If this virus gets loose inside the United States it could easily become the worst health crisis our nation has ever seen. The key is to keep the virus from getting into our country in the first place. Banning air travel for non-essential personnel to and from Sierra Leone, Guinea and Liberia would not be that big of a deal. Many other countries have already done it. But the CDC and the Obama administration are not even considering it. If they have made the wrong call on this, it could end up costing large numbers of Americans their lives.